Hello, from Janda Baik! And a Happy New Year! Having a good time here and forgot it was Friday to upload a post! Janda Baik is very pleasant. Loved water tubing down the river and discovered the thrill of all-terrain vehicle driving! Pic below. As I’m enjoying myself in the last few days of December, I hope you do too and usher in the new year with a whole load of goodness! 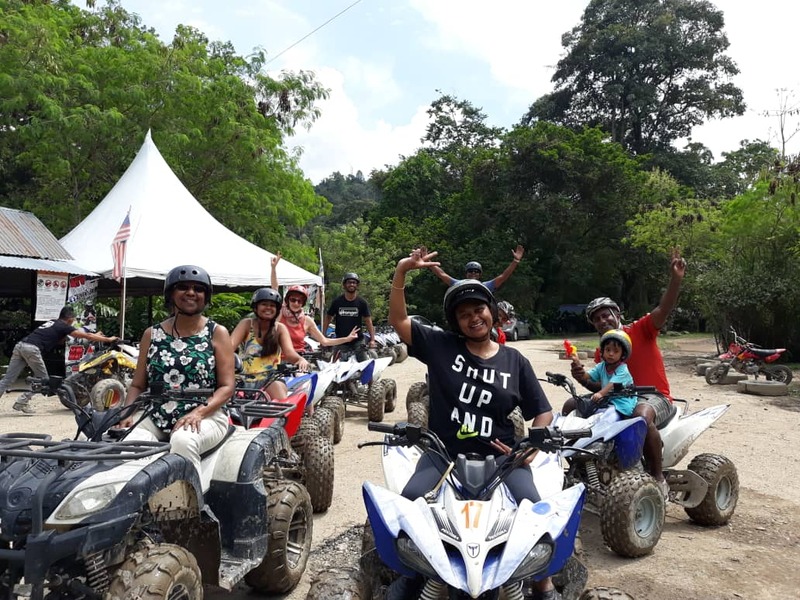 Me, far left, on a ATV with family members. This entry was posted in The Bride. Bookmark the permalink.